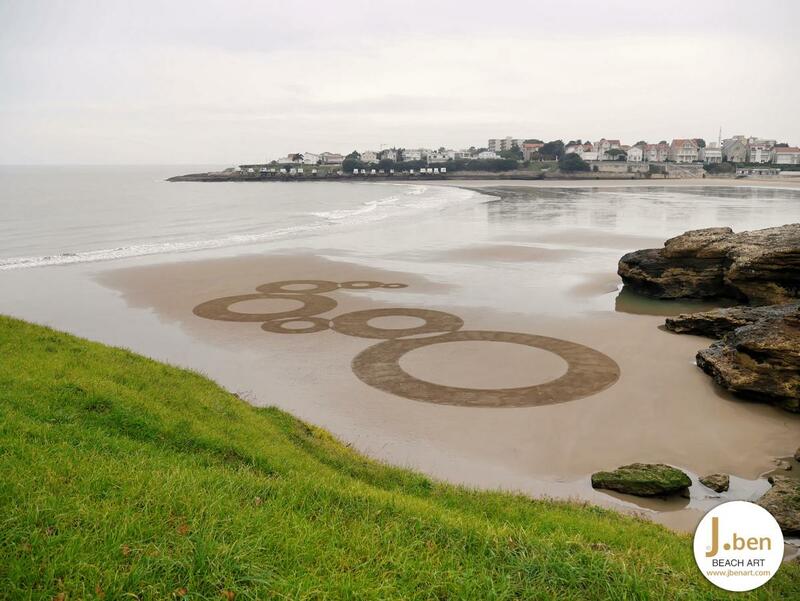 A morning low tide on the beach of Pontaillac Royan this time. A test again on the basis of different sized circles overlapping each other. 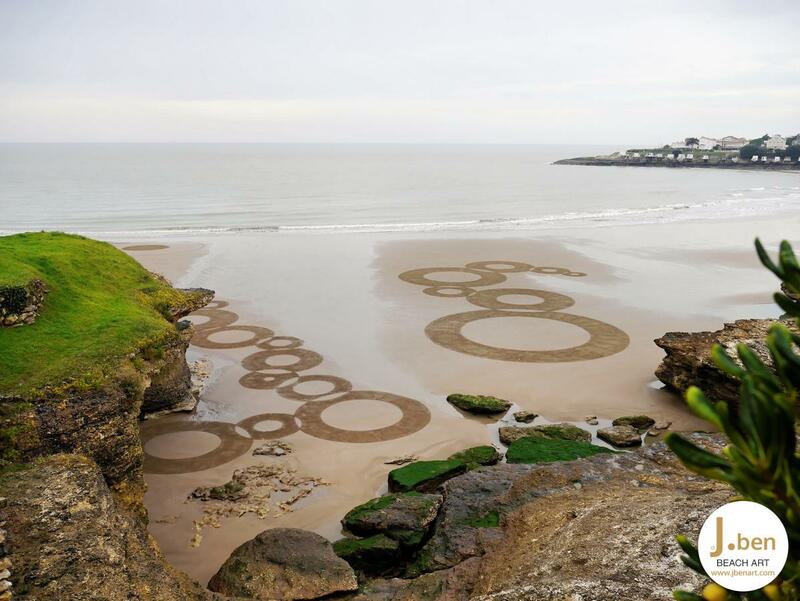 The construction of this beach art follows the sandbanks curves discovered by low tide. 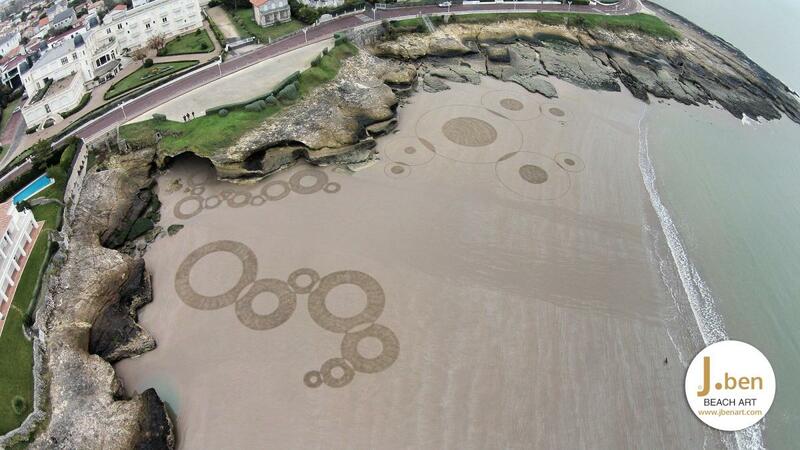 Part with largely filled circles and the other negative constrained by time and thus the tide rises. The sand on Pontaillac is very compact down the beach, so the coloring is much longer and sporty as it can be on other beaches. So I had to adjust in order to take pictures before the sea rises and covers it. The time was not of the party for shooting including a little rain that moved when I had just come out the hardware. Error: Error validating access token: Session has expired on Monday, 05-Nov-18 05:38:02 PST. The current time is Monday, 22-Apr-19 08:00:08 PDT.